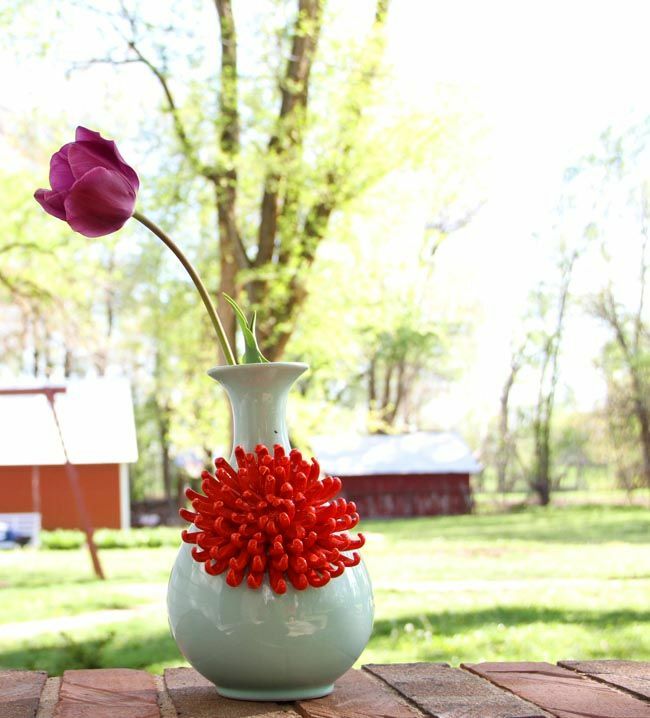 TheRustedChain - The Blog: My Anthro vase. I heart color. Big time. My friend knows this about me. And recently she went all the way to New York City to shop at Anthropologie to find a gift for me. And it is so me! It's a little funky with the aqua and coral, and the oversized flower. And that is me - a little funky. I have to admit, I've never stepped foot in an Anthropologie store. But I'm sure if I did, it would be pure bliss. I've browsed their website and perused their catalogs enough to know it all makes me giddy. In addition to their styles, I always admire the fresh and original marketing. They do things that haven't been done before, and most people would think "you can't do that!... you can't pair that color with that!... you can't set up a display that way! ... it's just not how it's done." Anthropologie is a little funky. And I like it. Do you have a favorite store that you find interesting and inspiring? Love your new vase....I was recently in the store, and kept walking over to this vase. I kept picking it up, putting it down. I left without it. 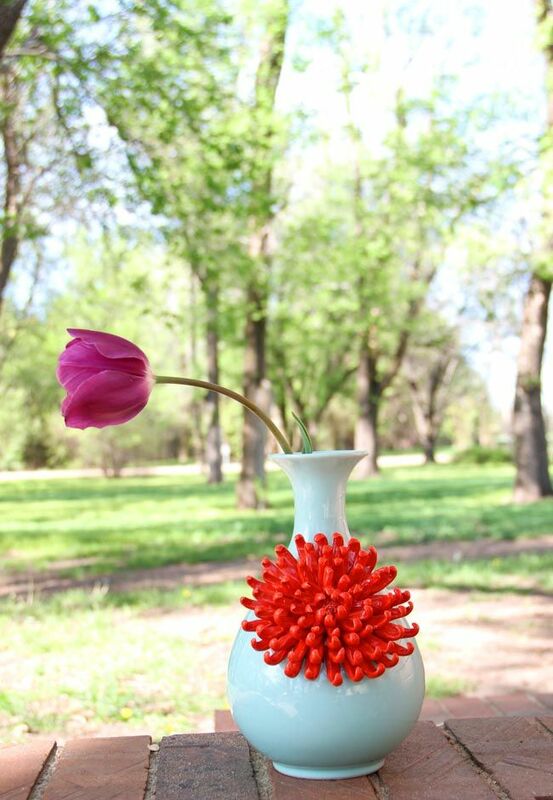 It is a great vase. Love the vase!! You're a little funky. and I like you! 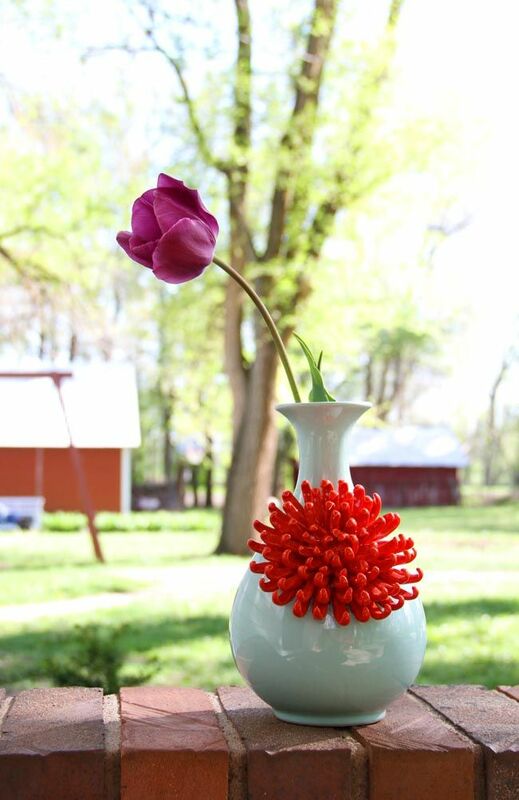 new to your blog, but I love that vase!